There were rumors that Rolls Royce’s new 4×4 SUV was going to be a monster truck. Well, that couldn’t be farther from the truth. BMW’s design chief Adrian van Hooydonk said that it would be “daunting” to build an SUV for RR. He promised in an interview though that Rolls Royce’s new 4×4 will be “a truly special car,” and that it won’t be a monster truck. This is certainly good news for everyone who thought that RR’s Project Cullinan would be going toward the direction of building an SUV monster truck. 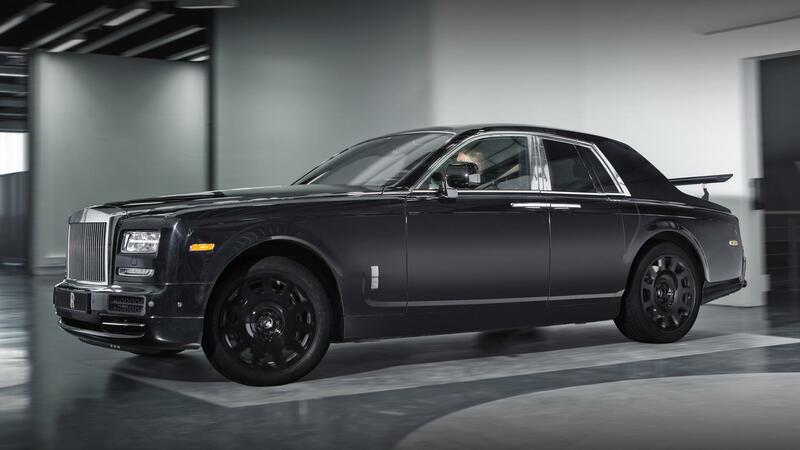 Project Cullinan can be previewed through the Phantom prototype seen in these photos. The “not monster truck” design has already been approved, and it will assuredly be one drivers can use as an everyday car. Hooydonk explained that there are a lot of considerations need to be made when building a new model for RR. When the brand started, it had huge wheels that covered a lot of ground clearance because they were used by the Maharajas to travel from Europe to the Far East. Back then, car companies have yet to categorize cars into sedans, SUVs or trucks. They were just cars, Hooydonk said. Roads back then weren’t smooth, too, so Rolls was built on that premise. The idea for the new 4×4 is not to interpret the old Maharaja car. Rather, it will be built on the idea that RR cars were used for daily activities across rough roads. What Hooydonk plans for the 4×4 is to completely move it away from the predicament RR has—that they are too elegant and too sophisticated to be driven. For this “SUV,” Royce wants something that drivers will want to use, instead of to look at only. To do this, Rolls decides to sit the model on an all-new aluminum space frame structure, which is currently undergoing road testing to ensure a perfectly capable driving experience.